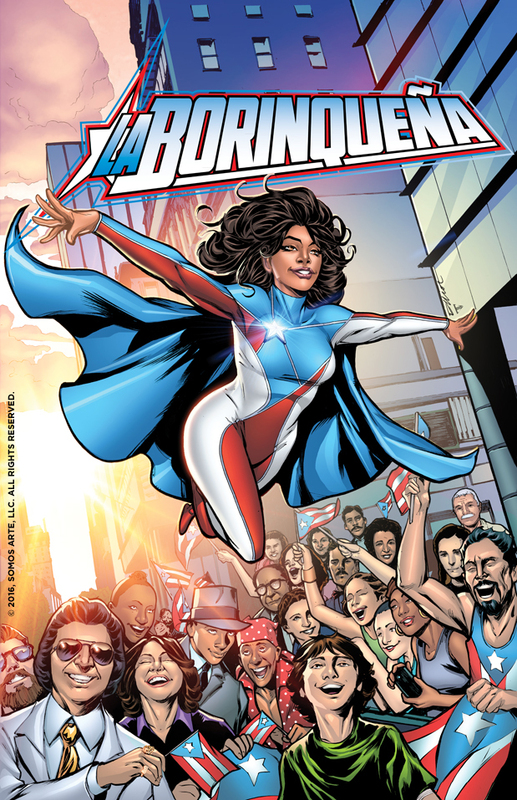 La Borinqueña is an original character and patriotic symbol presented in a classic superhero story. 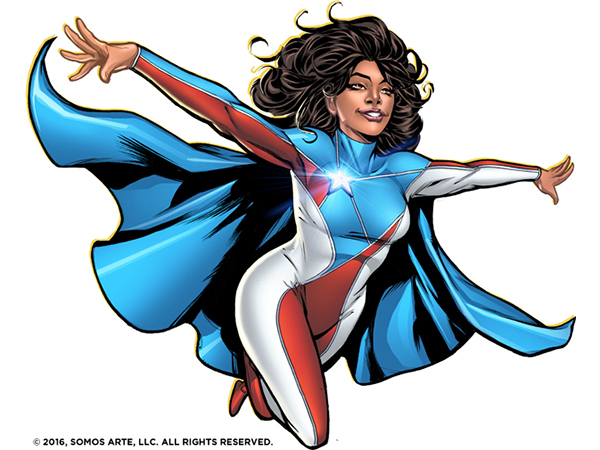 Her powers are drawn from history and and mysticism found on the island of Puerto Rico. 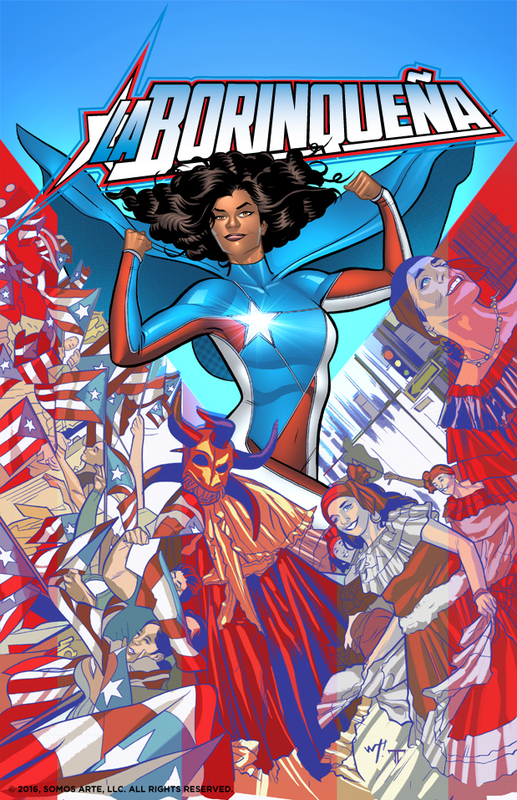 The fictional character, Marisol Rios De La Luz, is a Columbia University Earth and Environmental Sciences Undergraduate student living with her parents in Williamsburg, Brooklyn. She takes a semester of study abroad in collaboration with the University of Puerto Rico. There she explores the caves of Puerto Rico and finds five similar sized crystals. Atabex, the Taino mother goddess, appears before Marisol once the crystals are united and summons her sons Yúcahu, spirt of the seas and mountains and Juracan, spirit of the hurricanes. They give Marisol superhuman strength, the power of flight, and control of the storms.